Before you install DAS system in your Building, Stadium or any other object you will want to assess financial costs and in order to do that it is necessary to do some planning and testing. 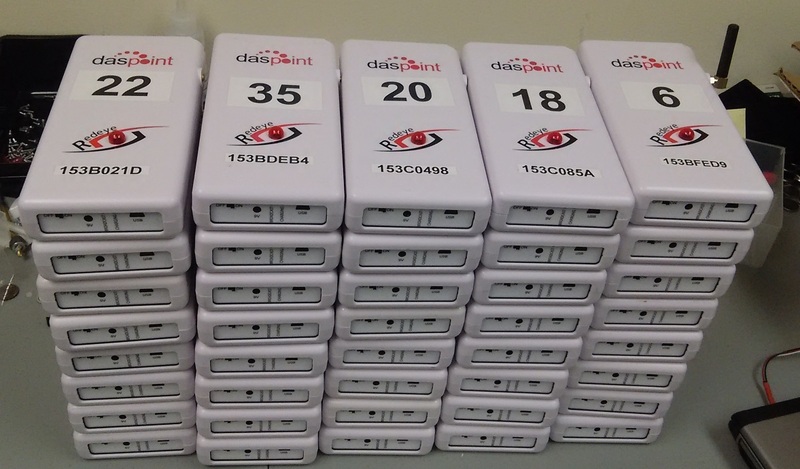 Daspoint, Company based in the United States, has developed an in-building RF propagation testing system, called Redeye. The system allows engineers to make traditional candidate or CW testing on a large basis. The foundation of the system is the transmitters. These are small and battery operated, making them easy for deployment. The transmitters send out a patent pending, proprietary signal that causes minimal or no interference to the macro network, so the operator can use the same frequencies for the transmitters as their normal operating network, thus eliminating the need for spectrum clearing. 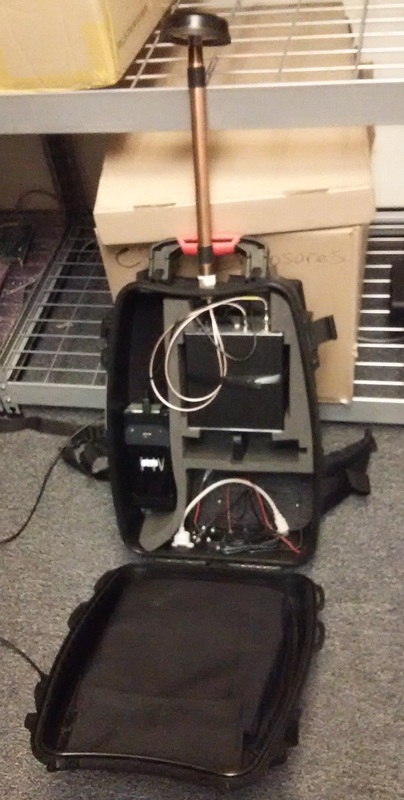 The TX signals are received and decoded by a backpack battery operated scanner system. The data obtained using the Redeye test system can be used to replace prediction entirely. It is comprehensive, because the Redeye system allows for the simultaneous testing of hundreds of potential DAS antenna locations. 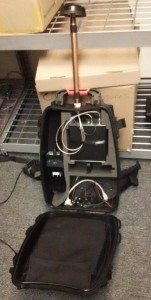 System consists of Backpack with Scanner,backup battery and external antenna, and of course with as many RedEye transmitters as required. All is controlled and logged with Tablet which is used by technician who is wearing backpack.